Shortly after her husband Marc was arrested by Montreal police at a newly opened dispensary in the Plateau neighbourhood, Cannabis Culture co-owner Jodie Emery was also taken away in handcuffs from her hotel. I was arrested at our hotel in Montreal last night, released hours later with no charges. Under investigation. My first time in handcuffs! Marc Emery is due to appear in court today (Dec. 17) after his arrest along with nine others last night during raids on six of his new recreational cannabis shops in Montreal. Nine of those arrested were released on a promise to appear, but the self-styled Prince of Pot refused to sign. He faces charges of trafficking, possession for the purposes of trafficking, and conspiracy. The Cannabis Culture Twitter account announced that, while sales were suspended, they would be giving away from joints at their storefronts at 1863 Rue Amherst and 2200 Ave de Mont-Royal Est. Working on petitions @ 1863 Rue Amherst & 2200 Ave du Mont-Royal E. No sales @ the moment, but FREE JOINTS to those who come show support. The federal government is expected to table legislation legalizing cannabis in early 2017, but current federal laws still prohibit the sale of recreational marijuana. Cannabis Life Network is the leading source of breaking news and expert opinion on cannabis-related developments in North America. Original content published daily covering Canadian and US news and headlines from around the world including business, culture, health, law, politics, science, and technology. 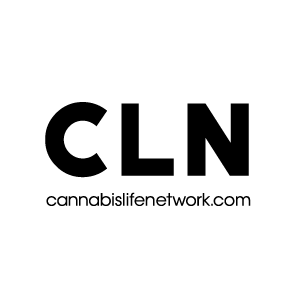 Cannabis Life Network is devoted to its mission of informing its readers of what matters in all things relating to cannabis and producing professional, entertaining, and educational content.